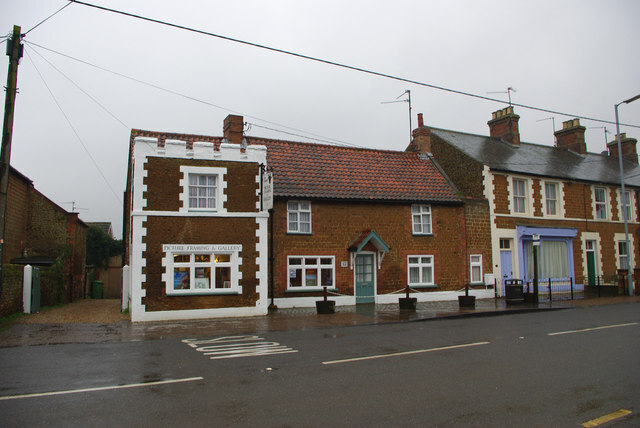 The picturesque village of Anmer in West Norfolk is situated on the royal estate at Sandringham. Despite its tiny population - said to be less than sixty people - it has become synonymous with the Duke and Duchess of Cambridge since Her Majesty gifted Anmer Hall to the couple. The name Anmer is thought to derive from the Old English meaning 'duck pond'. 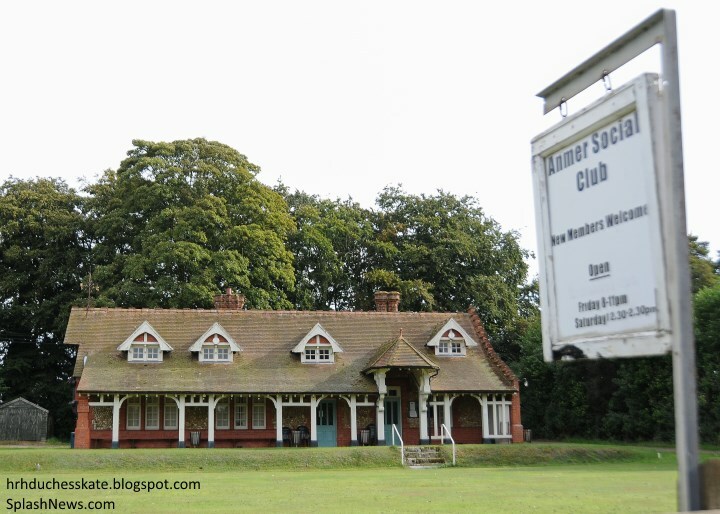 The place name 'Anmer' is first attested in the Domesday Book of 1086, where it appears as 'Anemere'. 'Anmer' was the name of the horse belonging to King George V which occasioned the death of the suffragette Emily Davison at the 1913 Epsom Derby, after she stepped in front of it during the race. The late-Georgian house dates from the late 18th century and features two storeys and an attic with dormer windows. 'It has two storeys and attic with dormer windows. The long south front comprises 13 bays, and was refaced with red bricks c. 1815. It has 13 ground-floor windows set in blank arches and a semicircular porch on two Tuscan columns, with 11 windows on the first floor. The Sandringham estate was bought by Queen Victoria in 1862 as a wedding present for the Prince of Wales, later Edward VII, and neighbouring land was added to the estate in subsequent years with Anmer Hall bought for the estate in 1898. It became the residence of John Loader Maffey who was to become Governor-General of the Sudan and wartime ambassador to Dublin. His daughter Penelope was reportedly a favourite of King George V.
In more recent times, it was leased by the Duke and Duchess of Kent from 1972 to 1990. Sadly it was the scene of much sadness when their fourth child was stillborn in 1977. The Duchess suffered severely with depression in the years that followed and with Her Majesty's blessing mostly withdrew from public life, converted to catholicism and dropped her royal title. Below we see the Kents on the Sandringham estate in 1982. It was later rented by Prince Charles's dear friend Hugh van Cutsem, and during this time it is understood Charles conducted his affair with Camilla there - regularly meeting her secretly. It was then leased to James Everett, owner of kitchen timber company Norfolk Oak, whose lease was not due to expire until 2017. Rumours began circulating around time of Prince William's 30th birthday alleging his grandmother had gifted him a property on the Sandringham estate. 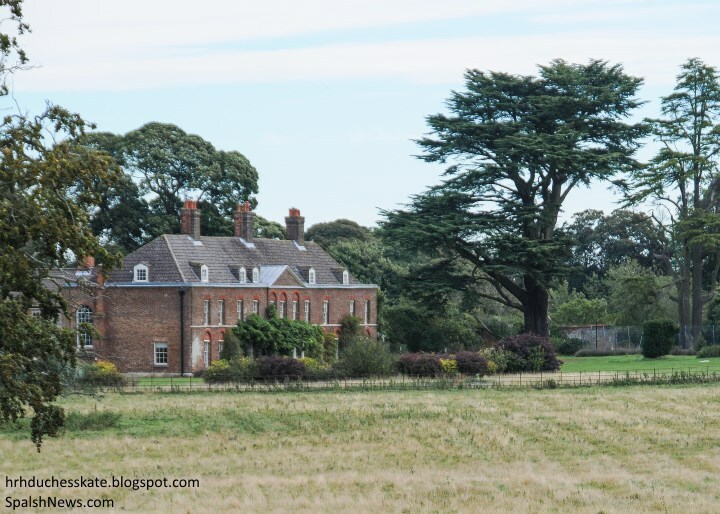 Anmer Hall began to crop up as the choice for the couple's new home. And in many ways it was not met with surprise; when the van Cutsems resided at the property Prince William and Harry had often enjoyed long days playing there and exploring the grounds. Having spent his Christmases on the Sandringham estate, it held strong ties for the Prince and the privacy it afforded would have appealed enormously to the second-in-line too. The paparazzi are no longer allowed to photograph members of the Royal family relaxing there. Initially, it was very much thought Anmer would be something of a country bolt hole for the Cambridges allowing them to get away from London life at their newly refurbished apartment at Kensington Palace. Following a transitional year which saw William undertake an agricultural course at Cambridge University, it was announced in August 2014 he had decided to return to flying and signed into a two year minimum contract with the East Anglian Air Ambulance. The decision came with the news Anmer Hall would be the family's primary home for the foreseeable future, and royal sources said they believe William wishes to remain in the position for "several years". During this time, there would be no increase in duties for either of the Cambridges with the palace confirming: "The Duchess will continue with her small portfolio of work and focus on being a mother." 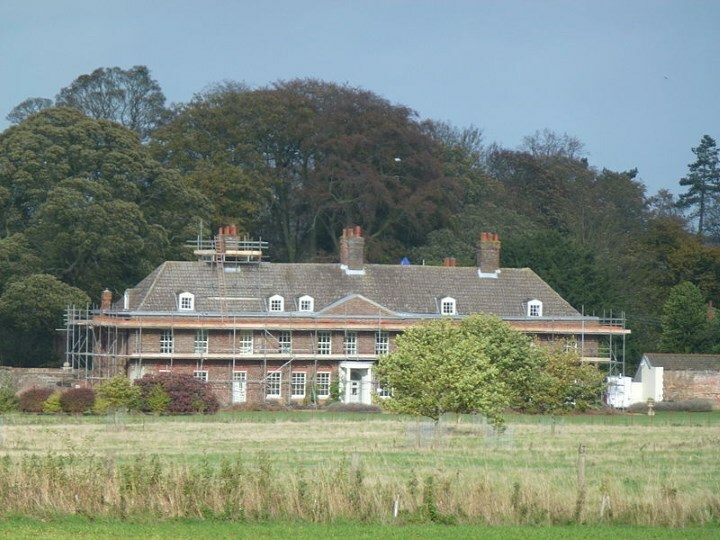 Extensive renovations were undertaken at Anmer Hall, with £1.5 million spent on upgrading the mansion. Architect Charles Morris designed a new garden room and supervised the rerouting of the driveway to create a larger parking area. It is believed the decor is traditional and classic, but modern twists have been added with the dining room painted a jewel green and a new contemporary child-friendly kitchen installed. You can see a video of the previous kitchen at Anmer Hall at the manufacturer's NAKED Kitchens YouTube channel. Before work was completed, sightings of photos of Kate in nearby towns emerged. Obviously eager to settle into her new home and get a feel for the local area, the Duchess spent many a Saturday in the market town of Holt sourcing antiques and softer pastel shade fabrics to decorate the manor. Much like Anglesey, Anmer has proved to be a perfect fit for the couple who crave a life away from the media spotlight. And once again, much like Anglesey, the locals are incredibly protective and respectful of them. Below we see William and Kate leaving the nearby King's Head Hotel where they enjoyed a romantic dinner with ice cream for dessert. An onlooker said: "William was extremely affectionate and considerate towards Kate throughout. She walked in with wet hair. She kept playing with it, twisting it around her fingers while talking to him. They were quite flirtatious and couldn't keep their hands off each other. When they had finished their meal, a couple of locals came up to them and said hello. They smiled and were very chatty. My overwhelming feeling was how normal they were." When it came time to celebrate Christmas, the Cambridges who had been alternating between Sandringham with the royals and the Middletons home in Bucklebury for the festivities decided to start a tradition of their own. 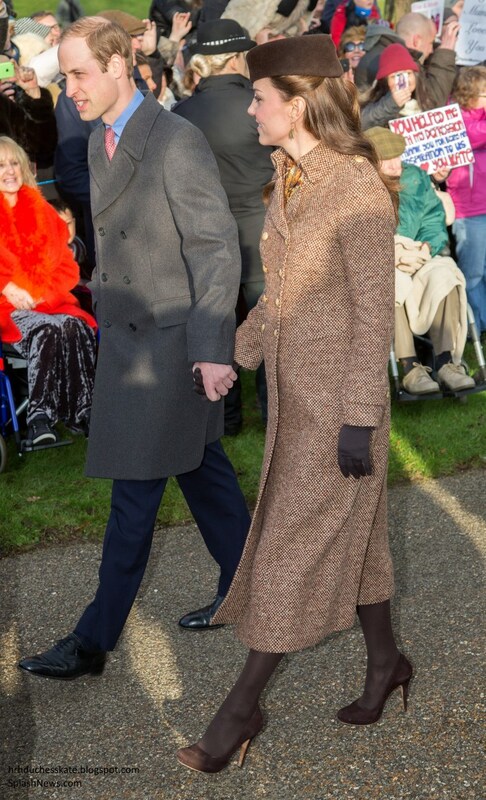 The couple made the short walk to St Mary Magdalene Church holdings hands, After the service, they returned to Anmer Hall to enjoy an informal day with the Middletons and Prince George. A new tradition I suspect we'll see continue and once again proof the Cambridges are determined to do things their way. 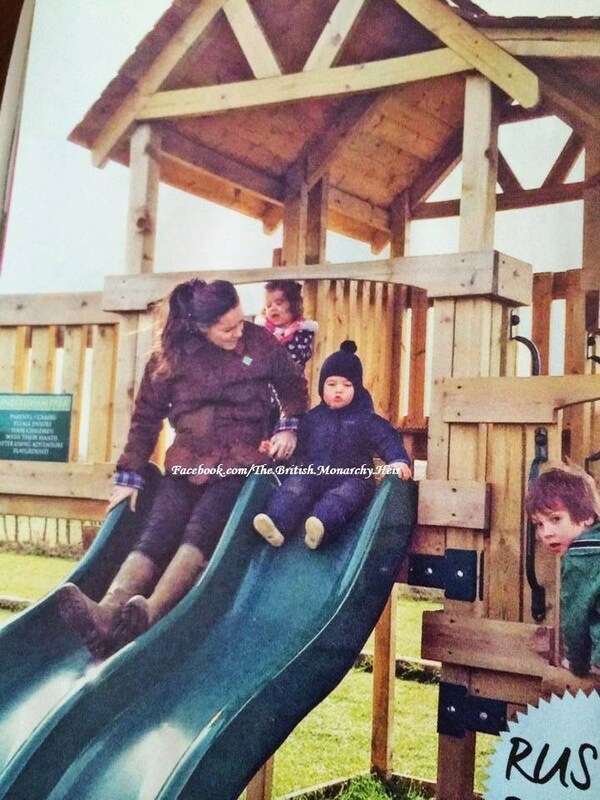 William and Kate adore the outdoors, a love already shared by Prince George who loves nothing more than a trip to Snettisham Park with Kate or an outing to Dersingham Recreation Park with Nanny Maria Teresa. The tot makes full use of the swings and slides. A local resident told People: "All the local boys and girls got to play with Prince George. It's really nice. He was just like any other boy." Kate has become a regular face in Norfolk and recently she popped into Grapes Gallery in Snettisham to browse and enquire about picture framing services. Owner Rob Kerr told People: "When she left, I just said, I can't believe what I've just done! I didn't call her 'Your Royal Highness or anything like that. She didn't come across as the type of person who would expect people to say anything anyway. She was very down to earth." 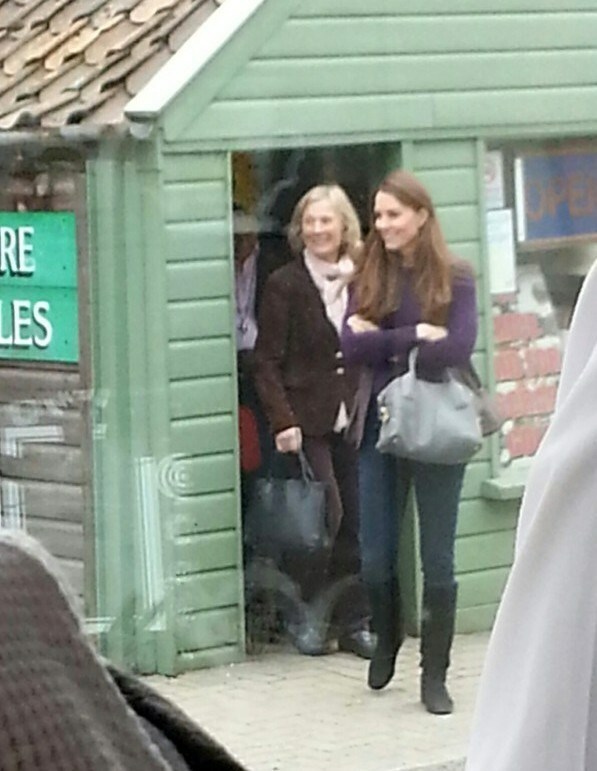 The Duchess is a regular visitor to the charming Burnham Market where she regularly visits Pentney House Hat Shop. The local hat shop has supplied pieces to Her Majesty in the past. Director Maxwell Graham-Wood also spoke to People and said: "Kate has been in several times, once with William, once with her mother and a couple of times on her own. She just potters around looking at things, so we just like to leave her alone and not make a fuss." Mr Graham-Wood recalled the day Kate visited with William: "We have two big rooms upstairs, one with ladies hats and one with men's hats. They both went into each room and were laughing and joking with each other as well as other customers and staff. They are very natural together. When they were upstairs it was like a church downstairs because everyone was pointing to the ceiling going, do you know who's up there?" It was a real thrill for the shop when they spotted Kate wearing their gloves (pictured below) on an official engagement (with a special thank you to Kate & Pippa Style). Moving forward, it seems the couple plan to integrate into the community as much as possible. Prince William enjoys camaraderie with the other men who work at the East Anglian Air Ambulance and Kate has plans to join the local Women's Institute. President of the Anmer Club which has fourteen members, former barrister Dorothy Pulsford-Harris had written to Kate before Christmas asking her to join: "I had a very nice letter back from her private secretary saying she was interested. We would be delighted to see her." Glancing through the Anmer Women's Institute website the upcoming monthly meetings will comprise of a garden meeting, a flower arranging demo, a craft meeting and Commemoration of WW1 anniversary with food and dress from the evening. 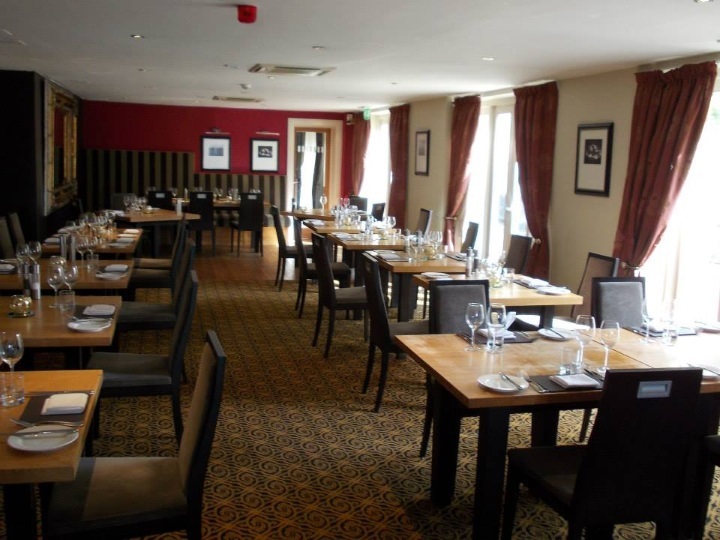 Below we see Anmer's social club. The Duchess will be following royal tradition by joining the local WI. The Queen became a member of the Sandringham WI in 1943 and is now the branch's president having taken over the role from the Queen Mother. 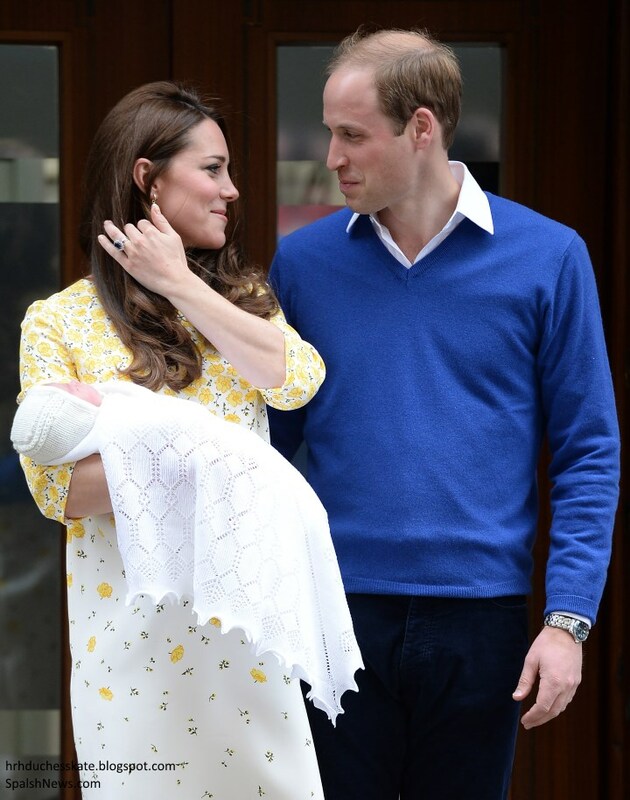 At present, the couple are enjoying their first weeks with Princess Charlotte. Big brother Prince George is said to be "fascinated" by his little sister. Contrary to media reports, no, Carole Middleton has not abandoned ship at Bucklebury Manor, to the detriment of her marriage, to manage Anmer Hall, In fact, Mr and Mrs Middleton have been spotted driving around in their Range Rover and enjoying pub lunches in Bucklebury. Of course, they're paying regular visits to William and Kate and vice versa but William and Kate are "very relaxed, very calm, this time round. They're not first time parents any more", as one royal commentator remarked. 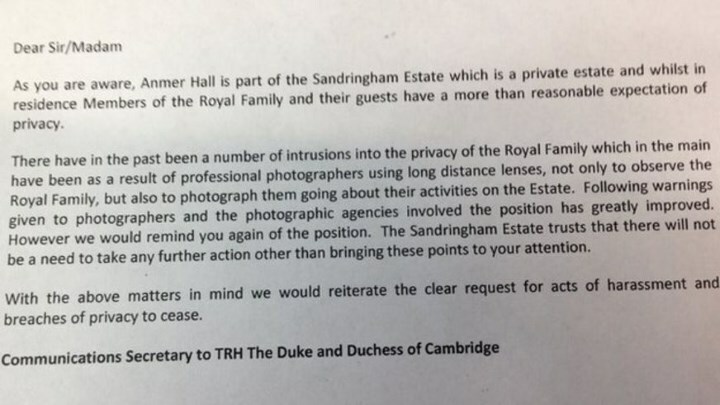 Determined to ensure paparazzi don't follow them to Norfolk, Kensington Palace issued a warning letter to the media reminding them: "Anmer Hall is part of the Sandringham Estate which is a private Estate". I spoke with a lady named June who lives close to Anmer and she and her husband have spotted William and Kate in the local area several times. I think June's sentiments finish the post up nicely. "Norfolk is the best place you could raise a family. Fresh air and friendly people! I've seen Kate at a local bakery in Holt fetching homemade bread and pastries and William is regularly seen out cycling early in the morning. My neighbour saw them out for a local pub lunch and remarked how friendly and down to earth they were. It's great they can live a normal life here, it's great their children can have a childhood like any other child here, enjoying play and fun, what every parent wants for their little ones really." Great post, Charlotte! Amner seems like a beautiful place to grow up in. George and Charlotte will definitely have happy memories of the estate just like William and Harry did. Nice Post ! I was in London when Princess Charlotte was Born and I saw they at the Lindo Wing . It was so exciting and amazing ! I cant believe it is 2 Weeks ago . How time flys ! Thank you Charlotte for the post and taking the time to write it. What a post Charlotte, thanks. It was fascinating to read all through, Anmer certainly has a history of its own. They must feel really happy out there. I hope they will provide us some pictures very soon. I understand their warning letter but I am afraid they could do more to satisfy the public by publishing more photos. More photos less interest, I still believe in this. Your posts always make me want to book a trip to England! including Wales. I am eager to go. perhaps. There is a lively walking path by the pangor river in Bucklebury that I know will be visited with a picnic en route. Anon 20:12, you sound like me (a number of years ago...lol). Thank you so much for such a woderful post, Charlotte. What a beautiful place! Great post. Thank you. :) We've heard so much about Anmer Hall, but this really filled in the gaps. Yes Anmer certainly looks like a lovely place to raise children in the country-side. It's a bit of a pity having the history of Charles conducting his affair with Camilla there, but I guess the past is the past... I'm sure the Cambridge family will create great memories of their own with their growing family. I read somewhere today that there is not a lot 'going on' at Sandringham, and there's a population of approximately 60 on the estate. This to me signifies how important it is to William and Kate to create their own path in their world, and good for them! William and Kate are continuing the tradition of living on royal estates owned by the monarch. Elizabeth's grandfather George and grandmother Mary also resided at Sandringham while George's father Edward VII was King. George occupied himself and stayed out of affairs until it was time for him to serve. Therefore, I don't see William and Kate creating their own path in the world - but following precedent. Glad to see that you mentioned the fact that William and Kate don't own Anmer Hall--it is a grace-and-favour residence; the Queen, and soon Charles, owns the property. And I agree, Maryland Moxie, that William and Kate are not in charge of their fate; right now, they have to serve two masters, the Queen and the Prince of Wales, and it must be hellish. Not even Charles, who likes to moan and groan about his life, had to contend with this. JC - I've often thought it was Charles and his friends who set William up with the current pilot job by providing the specialized helicopter - I'm sure it was a family decision - he had to leave the military because his unit was privatized and he hasn't been trained to do anything else. The reality is they have to live on a family estate for security reasons. I think the taxpayers would go nuts if they had to pay for another generation's security - particularly if they weren't necessarily active in "royal duties". I don't think they can add to the collection of properties needing protecting. There was much complaining about the cost of Kate being at Bucklebury after George. I don't know that I'd be that cross at my Grandmother - who provided me a house and staff - and my father - who provided me a job that I enjoy. But I don't doubt there are tensions with Charles sometimes and things are going to get tricky when the Queen passes and the titles shift. So not hellish yet.. in my opinion. Anon at 20:34 - I don't know about it being "hellish" to have to "serve" the Queen and Prince Charles. These so-called "masters" of the Cambridges have gifted William and Kate a very large country mansion and have provided them 5+ million pounds for refurbishing this home and another very large residence. Kate's father-in-law pays for her wardrobe. What is hellish about any of that? In fact, they should be thankful that Prince Charles and the Queen both outrank them. If Kate and William were the Prince and Princess of Wales right now, rather than 2nd-in-line to the throne, they wouldn't be able to retire to the countryside and live secluded lives with few royal obligations. I'd say that Prince Charles or the Queen have much more dictated lives right now than Kate and William do. I'm with everyone on the "not so hellish" argument, although I did see yesterday I think that the palace is trying to renegotiate the agreement they had with WK and get them (or Kate, not sure which) to do more. That would negate the argument that the Queen's happy with the status quo if true. The same article indicated they live on £1.240,000 per annum, plus any income William takes from his trust fund. Not bad when you don't have to pay rent anywhere either. you read this? I can't seem to find it in any official releases. Is the palace source named? Google is your friend, Anonymous. For what it's worth I do not invent posts out of whole cloth. Of course the palace source wasn't named; they never are. Please also note I also said "if true". As if that would be in an official release! Anon, see the above link. Ephraim Hardcastle is a gossip columnist on the Daily Fail. I'd take a very large bet that there is absolutely no truth in the story. I am so happy to know they are settling into the family country life like they are. Keeping them in our prayers for continued safety and happiness. Thank you for this! It made my morning even brighter. Thank you for this post on Anmer. What a lovely place to raise children. And I so appreciate your thoughtful and tasteful presentation without disturbing The Royals. We do enjoy hearing about them -- from a discreet distance. You have shown us things about Anmer that I did not know. She really does an amazing job of providing interesting information while still being respectful of their wishes and needs for privacy. I honestly feel that the information I get from this site makes me feel like I know more of TRH than any other blog or publication. Cheers, Charlotte! Lovely post. Thank you Charlotte. Hi Charlotte, I follow your blog but rarely comment, but I wanted to thank you for ALL your informative posts regarding the Duke & Duchess and their growing family. 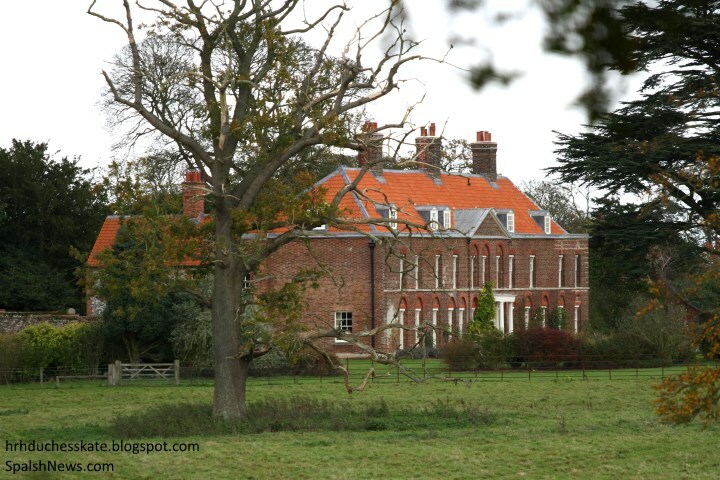 I loved your information on Anmer Hall and nearby Norfolk & Holt. I wish you & your family the very best always! I would love a "kate loves books/reading". I read somewhere that before the marriage she was regulary seen buying books. It would be great to know if she still reeds art based literature or non-fiction. Maybe Difficult to find out. I like you're site and hard work for it very much. A reader from Belgium! Me too! Not sure that is common knowledge though. Yay a Kate Loves! Really cool to learn about Anmer, it sounds lovely. Love William cycling! I really enjoy your posts and check daily! Wonderful post Charlotte! Your "Kate Loves" series are my favorites to read through. They are so informative about a wide variety of topics. Amner seems like a picture perfect place to settle out of the media spot light to raise a young family. So glad that in this connected day and age they are find peace they seek even with their level of public accessibility. They will have many happy family memories from their time in the country. I am a little disappointed that there won't be more royal duties coming up in the near future but purely from a selfish standpoint. The Sandringham and Balmoral estates are owned by royal family trusts, inclusive of all the buildings on them. This means that the Queen did not "gift" Anmer Hall to the Cambridges; she simply gave them the right to live in it. They do not own the house, just as they do not own their Kensington Palace flat. Actually that's not accurate. According to the official monarchy website, Sandringham and Balmoral are private residences owned by the Queen whereas Kensington is a public residence owned by a trust for future monarchs. It would seem like the Queen could do whatever she wants with her private affairs, including gifting. Vittoria - Sandringham and Balmoral are not part of the crown estate, they are the Queens private property that she inherited. She owns these properties.Kensington Palace is part of the crown estates. I think you are wrong---Sandringham was bought for Edward Vii when he was Prince of Wales and more land has been added since. Balmoral too is privately owned. George VI had to buy them from the Duke of Windsor when he abdicated. They were purchased after the crown lands had been handed over in return for first the Civil list and now a proportion of income from the crown lands. Charlotte will, I am sure, know if this is correct. I didn't say Sandringham and Balmoral were part of the Crown Estate, simply that they are owned by royal family trusts. This arrangement was made after George VI had to buy them back from Edward VIII following the latter's abdication. They are no longer inherited personally by one individual, the monarch, but rather held by a private trust. I didn't mean to imply that Sandringham, Balmoral, and Kensington Palace had the same ownership. That was not my point. I was pointing out that the Cambridges do not personally own Anmer Hall any more than they personally own their KP flat. Or said another way -- William does not pay tax on the house he lives in - he is squatting there by the grace and favor of the Queen. Anne's children have a similar arrangement on her privately owned Gatcombe Park. Where the family may take a huge financial hit is when the Queen passes and Charles inherits. This hasn't come up for 60+ years. Property that passes from monarch to monarch as an inheritance is not taxed. See articles about the Queen Mother's estate. And property in a trust can be protected also. Anon at 20.17 is correct. Balmoral and Sandringham are privately owned by the Monarch. If the UK were to become a Republic, Sandringham Estate and Balmoral will remain the property of the Royals. Buckingham Palace and Windsor Castle are held by the Royal Family Trust. Moxie your comment makes W&K sound like low life squaters. I don't understand why you have soiund a hard time with W&K life/ You do not live in the UK nor pay any type of taxes so your really don't have room to complain. We here are all just fans. I also thought that squatting was a denigrating choice of words. It is not unusual for parents and grandparents to help their families out in many ways. Bons and even if he was his grandmother can bless him however she chooses. I'm not complaining at all. They've got a sweet life in a beautiful home where they have no worries about mortgages or taxes - the only other folks that applies to are squatters. He certainly wouldn't be able to afford to live like that on his RAF and private pilot job. I'm all for rich Grandmothers! Wow. I read up on those articles you suggested - that was some serious smart financial planning by the monarch's team. I did not know that about Charles and Phillip fighting over Birkhall either. No inheritance tax for monarch's then. The problem comes up - if she leaves something to anyone other then Charles. Is that correct? The use of the word squatting implies they are there without permission which I agree is not true. But her point that they live there rent and tax free is correct. Please don't start with the "you aren't British so you don't have room to complain" argument. As has been pointed out ad nauseum, if Charlotte implemented the no Brits or no British residents rule, the number of posters on this board -- including more than a few diehard fans; maybe even you -- would plummet. Sandringham -and if so, as a whole, or would Anmer Hall be considered separately and be W&C's responsibility? Are gifts worth over a certain amount taxable at time of transfer? Could inheritance tax be avoided this way? through gifting.The inheritance tax has decimated the landed aristocracy. MM may have hit on the truth on that point. However the "squatter" reference may have been inaccurate. Legally, "squatters" take possession of a property without the owner's consent. Hardly the case in this example, I would say. I agree with those who have said the word squatter has negative connotations. It certainly does, and it goes way beyond the monetary factor in this debate. Until now, the terms used have been "living rent free" or in "public housing". IMO, this word took it to a new low. that "rich and lavish" to do as you intimated. Along with Sandringham House in Norfolk, ownership of Balmoral was inherited by Edward VIII on his accession in 1936. When he abdicated later the same year, however, he retained ownership of them. A financial settlement was devised, under which Balmoral and Sandringham were purchased by Edward's brother and successor to the Crown, George VI. Currently, the estate is not owned outright by the monarch, but rather by Trustees under Deeds of Nomination and Appointment. Wikipedia's information always needs to be verified, of course. Balmoral was purchased by Prince Albert rather than by Queen Victoria, and apparently Birkhall as well. Sandringham was bought for the then Prince of Wales, their son Albert, later Edward VII. It does not appear that any of these properties are now owned outright by the Queen or anyone else in the royal family. What was the difficulty between Prince Philip and Prince Charles over Birkhall? living rent free, no taxes, squatting (or whatever the particular reference to the privileged lifestyle might be on any given day) are, at the basis of the whole thing, jealous. Yes, I said the "J" word. I believe that is the root of it. After all the discourse published on this blog it has proven itself over and over again in my opinion. This is a blog about the lifestyle of the Cambridges - that's why people keep talking about their lifestyle. To examine what it is - and how it is similar and different from others. But it really doesn't hurt anyone if you think everyone is jealous. So carry on! What's wrong with being a little jealous? I'll admit it. Yes, I wish that I could live my life in two different mansions that I did not have to buy or pay rent for, and then also get multimillion pound refurbishments done on them for almost completely free. Who wouldn't want that? Being slightly jealous (and I'm not speaking for others and whether or not they are jealous) doesn't make everything you say untrue. It is factually correct that William and Kate receive many of the same benefits as "squatters." As bluhare pointed out - the main difference is simply that they DO have permission. But seriously, in what other part of life is it possible for someone to live in a home not owned by them without paying rent, and also demanding that renovations are done to their exact liking? Sure, any landlord would have to install plumbing (but also would use rent money to recoup the costs). But I don't know of any landlord who would agree to foot the cost of a bill that involves things like building new rooms in the apartment, etc. They'd tell you to pay for that yourself, on top of rent, or to find an apartment with the layout you like. Just because someone may be jealous of Kate and William's ability to receive these benefits doesn't mean that they are saying so out of jealousy, or that it is factually incorrect. As long as people are able to temper their jealousy and understand the downsides of certain lifestyles, and the upsides of their own, it isn't necessarily bad or unhealthy. It's normal. As for this argument about cabinet-makers being able to live in Anmer Hall - uhm, not "just" cabinet makers, but rather, the owners of a bespoke kitchen design firm. No doubt their salaries were far, FAR higher than William's as an air ambulance pilot. Also William wasn't working for most of the time since they got Anmer and had it renovated - so he didn't have any salary like others. And, the owners of this firm may have struggled to find 1.5 million pounds to do renovations on top of paying rent. So yes, I think that it's pretty rich and lavish. And there's nothing wrong with that! Thanks, Moxie, for the Guardian reference. I would have thought the Queen Mother made it clear who should have the use of Birkhall, but Prince Philip and Princess Elizabeth did use it while her father was alive. So perhaps Philip wanted to return and make it a guest house or hunting lodge. Intriguing little sentence. Somewhere below there is a comment about the Queen setting up trust funds for her children when they were born. That would be one way to provide for them without causing a death tax. The Queen Mother's entire estate, mostly art works and riddled with debts, went to the Queen, and the Queen's entire estate will probably go to Charles. She can gift things during her lifetime. I'm at a loss for why discussing a subject makes one jealous anymore than praising something makes one fatuous. A blog is here for the purpose of discussion. The subject of the expenses and privileges of the monarchy is certainly a reasonable one, especially when it is sometimes claimed that William and Kate are living a "normal" life. William and Kate are not living a normal life even by the standards of the wealthy. There has been some unpleasant publicity in the last couple of days about long-time royal retainers being laid off and forced to find new homes (since housing is part of the job benefits.) This has been said to be done because of budget cuts the queen has been forced to make. So the expenses of the lifestyle of her family is certainly news. I think there are few people on this blog who wouldn't be happy to have a rent-free luxury flat in London decorated at our whim but I doubt many of us are actually overcome with jealously about not having it - (Although I wouldn't have Anmer on a bet - that house has very bad karma to my way of thinking.) There was much discussion about the perks members of Parliament receive a while back - and no one thought anyone "jealous" for raising the issue. William and Kate are not private individuals - their role exists at the will of the people and the details of that role are a perfectly appropriate subject matter. Great Post! I love Kate Loves, and this one is perfect especially during the slow time. Hopefully they release new pictures soon, maybe after Harry meets get! When do you think the baptism is? I forget, how lo g did they wait to baptize Georgie?? Hi Emily. They baptized PG on Oct. 23, so if they do the same it would be August. It will be interesting to see what they do because the Queen traditionally vacations during August and September. Maybe a late July baptism? Thanks! July seems so far away!! William went back to Royal Duties today I just wish he gave more quotes about baby Char! It has already been stated that the christening will take place in July before the Queen moves to Balmoral for the summer. The exact date has not been announced yet. Anne, Ive read that several times but didn't know it had been announced through any official channel. Did KP state that? No one officially announced it, KP hasn't yet or my Twitter feed would explode!! Ok, good! I thought I missed something! The little village of Anmer is truly idyllic. I'm in love with all those beautiful English villages. What treasures! Thanks for including Harry's interview. It was wonderful! What a personable young man! While I'd adore a similar interview with Kate and William, I don't think it's likely to happen anytime soon. I deem Harry a much more extroverted "people person" than William, who seems much more reserved. And I think Kate is very shy--charmingly so! It's rather poignant really that two people who really do not seek or relish fame have been cast into such a public role. Thank you Charlotte. I love your Kate loves posts. This one was most informative. I am longing for a picture of Princess Charlotte with her brother Prince George. I can't believe we waited so long for the birth and she is over 2 weeks old already. A wonderful post Charlotte, thank you so much. There is a video available on you tube of the path along the pangor river in bucklebury. I think I found one of the videos. It is beautiful area. I love country settings! Charlotte, it would be cool to have a post (when there's no other news) of commenters sharing their favorite YouTube videos that relate to Kate herself or places related to her. The one I was referring to is titled, "Pang Valley Circular Walk via Bucklebury 7 November 2007. It is about 9 minutes long. I enjoyed this oh so much! Thank you for all the fun facts and tidbits which I'm sure took a lot of your time to research. I now feel very 'up to date' with Will & Kate... Again, thank you!!! Daisy, I too wonder about the security factor. :) The sign says "Electric Gates / Do Not Push" so I think it just means the gates can (should) be opened with a remote control, rather than manually. I'm sure that a residence meant to be the permanent home for the next few years of two future Kings is properly secured. If Bucklebury, a non-royal residence, can be secure enough for the Cambridges, I'm sure Anmer has all the necessary security measures and then some. Another important thing to remember is that MOST security threats to the royal family are not from terrorists, groups with political motivations etc., but rather, from individuals who have developed an unhealthy obsession with someone in the royal family. These individuals usually don't have very sophisticated plans, and don't usually present a huge threat. And for the larger groups who may be threats, it is really up to intelligence agencies, not the actual security details, to foil potential plots. It's the same way for politicians around the world. Security details/features are meant as a last resort for stopping an attack, only if all other efforts have failed. But really, they will probably have an armed patrol on their property at all times, aside from their own personal security details inside the house. The house itself is probably like a bunker, with bullet-proof windows, etc. No doubt they also have a panic room. And the area above their house is a no-fly zone. I'd say if we want to worry about security, it should be for the billions of men and women who don't have the efforts of hundreds dedicated towards ensuring their security. maker was among the 1900 invited to W&k's wedding, as the butcher and baker were reportedly guests. ha! Paola-04:14- My goodness. I was trying to be humble.Give credit where due. Sorry to be confusing. language is both a difficult and a brave accomplishment. Am I being really wishy-washy worrying about "a baddie" knowing that William cycles each morning? Great article (as always) Charlotte, thank you. I'm wishy-washy as well, Jenny: it was my first thought when I read it. And the fence, really it doesn't look to guarantee a great security. 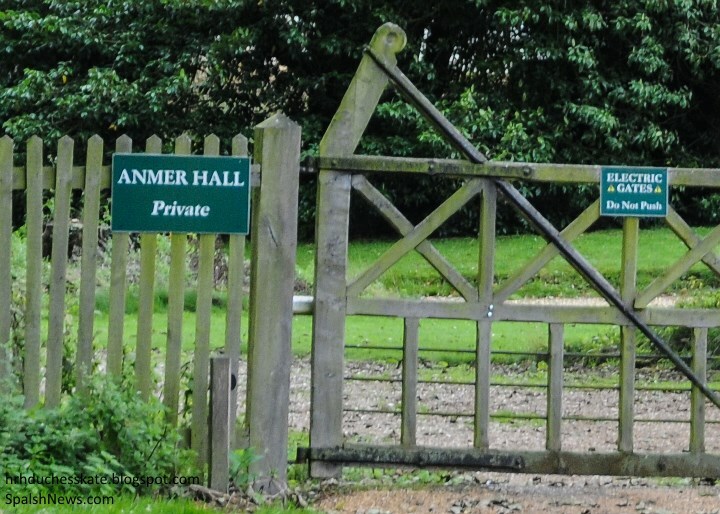 I hope that it is not so easy to enter Anmer Hall. Maybe this was the reason of the letter to the press? The letter to the press was in regards to paparazzi. Yes, Bluhare: I meant that maybe those photos of a cycling William have been "too much" for the Cambridges, making them write to paparazzi (I laugh each time I read paparazzi, it's an Italian word and it sounds quite funny). This is a personal remark and may not be allowed. Paola Magi- I have enjoyed your comments so much! You keep on the topic, you are kind and funny and absolutely delightful. Thank-you. Well deserved, Paola, well deserved. I spoke to a few of the royal commentators and they all said William hopes to remain working in Norfolk for "several years". Of course, this is all depending on Her Majesty's health continuing to be as good as it has been. There's been talk of George attending a pre-school or nursery close to Anmer, and again, should The Queen continue at the pace she is, I think it's a very likely possibility. Speaking of HM, there's plans underway for a fabulous 90th celebration next year, we'll most likely see W, K and H attending. There will also be celebrations when Elizabeth II becomes the longest reigning monarch in September. Those should bring a gathering of the family, too. Thanks Charlotte! I love seeing them hand in hand with her wet hair! Love checking this blog and finding a new post :-) Always an interesting read! Can not wait to catch our first glimpse of the new family of 4. Hopefully a one off snap is presented before little ones Christening.. Wishful thinking! I had forgotten that we waited a while when George was born. He was born on July 22nd and the photos were released on August 19th. I don't mind waiting if it means Charlotte loses a bit more of the wrinkled baby look and we can get a better glimpse at her true features :) I also have my fingers crossed that a professional photographer takes the pics this time! Im hoping for professional photos this time too. I appreciated the "family album" pictures of George but felt that we really couldn't see him much better than we did at the hospital. I thought the professional shots of PG released before Christmas were gorgeous. If I'm wrong I will eat one of Camilla's huge hats, but I think Michael Middleton will take the photographs. Unfortunately, I think you are right in your supposition but Im hoping against hope that we get something different this time. Oh, royalfan! I'd cheerfully buy a ticket to be at that feast. Provided, of course, that the hat's owner was forced to watch. more than one this time and soon. Oh Royalfan, that would be a sight to see but those feathers would tickle. Please do chose the black feathered one though - I'm so weary of that "look at me, pleeze!" hat showing up at funerals. I rather hope they choose a better photographer because the pictures are historic but I do see your point. How grudging they are with photos - after all there is no reason why they couldn't have some professional photos and some family-taken ones too. I've just been reading The Glass of Fashion by Cecil Beaton (really recommend it) and it reminded me that Prince Philip fancied himself something of a photographer too and dared to ask some impertinent questions about why Beaton was taking photos in a certain way - and was told off in no uncertain terms. Those were the days of real royal photography. I remember thinking when I was a child that I was looking at real fairy princesses. Thank you for your posts! I'm an avid follower from Portland, Oregon, USA. If I visited the English Countryside would I be able to go to Ammer or is it not open to the public? I'm from Portland, too! As far as I know, Anmer is not open to the public as it is a private residence. But I think maybe Sandringham is at times. 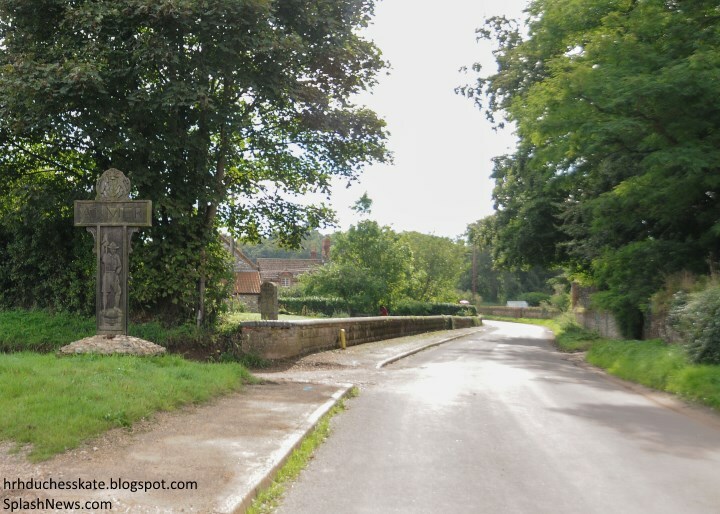 I just wondered if it was possible to visit the village of Ammer. I thought Anon 16:49 was asking about the village of Anmer. Isn't it on roads that are open to the public? Oops... sorry I misunderstood your question. I have no idea, but would think it would be open. I am afraid there isn't much of a village to visit. Just a few houses and farms. But the area is stunningly beautiful. English countryside as you would imagine it. Very picturesque. And there are beautiful parks around the Sandringham Estate and cute little town. Norfolk is definitely worth a visit. I spent some of the afternoon reading about the underground remnants of the medieval village that lie right around Anmer Hall and St. Mary's Church. They are in a park that is preserved as a historically important area. Maybe there will be archaeology in the area. At certain times of the year, you can visit the house at Sandringham, Try yo visit in June when the rhododendrons are in bloom - which can vary a bit year by year. There are wonderful churches in the area such as Walpole St. Peter's and Terrington St. Clement the ones at Swaffham and March as well. And the fens are a wonder to see. You should read the Nine Tailors by Dorothy Sayers for a feel for the area. The roof tiles get darker to normal tile colors with time. The articles I read said they won't be bright like that very long. I was looking at the roof of Anmer Hall: it's so red, too much in my opinion! What do you think, ladies? I've read that the red tiles will turn grey and the roof will look as it did before it was re-roofed. Hope it's true! Paola, from what I remember hearing, it's made from copper and will fade with age. I think I also remember reading that the "neighbors" think it's really bright, too. But, it will fade and probably last forever, right? Good investment, and they'll get used to it. When they replaced the tile there was comment. Apparently as it weathers, it will turn a more natural looking colour. From what I read, it should not take terribly long. I agree, but I think they will fade as time goes by. The color appears to match the brick detail above the windows. Copper? are you sure Victoria? If so, it would change very soon, turning to a sort of grey-greenish colour. I thought it was clay, instead. Copper is a very good material. No, it's not copper, it's clay. I think that a long time will pass before it will look less bright. But, in my opinion, it is better to employ those tiles instead of artificially made looking older ones. The cover of The English Garden magazine for July shows a hall with very similar bricks and roof, the roof tiles in the process of turning darker. Unfortunately, no image of that cover seems to be online as yet. These clay tiles are called pantiles. They are characteristic of buildings in eastern England. The short Wikipedia article about them includes a couple of pictures in various stages of darkening. Interesting that they are a lighter form of roofing that can be used on roofs with a low pitch. Oh.. clay...lol! Thanks for the correction. I obviously have no experience with copper. :) One of the reasons I love this blog.... so informative! 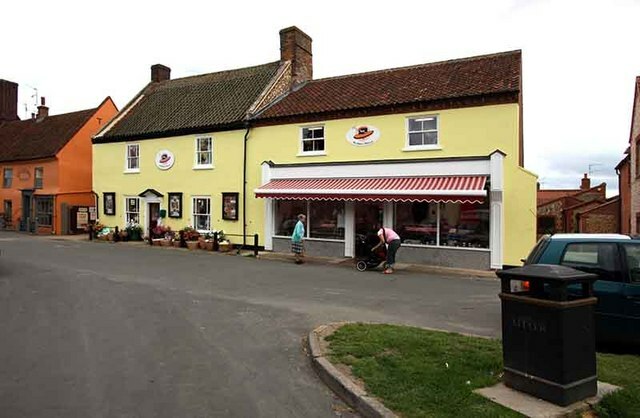 Charlotte has actually provided a picture of a darkening pantile roof, above, on the the middle brick building in the village of Snettisham. The carstone used to build Anmer Hall is also interesting, and characteristic of old Norfolk buildings. It is a type of sandstone. Apparently the front of the building, like the driveway side, was carstone until it was covered or replaced with brick early in the 19th century. Carstone, I think in Italian is something like "arenaria". It's similar to "pietra serena" which is typical of florentine architecture. A very classical, not expensive but traditional and beautiful stone. The mix of "arenaria" and bricks is also frequent in Italy, not in Florence but in Milan (where I am living). In Milan we have another kind of arenaria, called "beola". this is my first comment on your blog. I really appreciate all your posts that I follow regularly from Italy. I have a question: is it known whether Prince George's nanny speaks to him in Spanish? I am myself a big advocate of bilingualism from early age and I think this is a great opportunity for the young Prince - and possibly his sister - to pick up a second language without any particular effort. Unfortunately we don't know that info, but I do know Maria has been a wonderful addition to the household. She's spoken so highly of and has been an invaluable help. It would be wonderful for George to learn as much as possible at a young age and I think Maria will be an important part in this. A new post here always brightens my day. I echo the positive sentiments of others. Thank you Charlotte. Keep up the fantastic work. You've got lots of loyal, royal fans! I will concur with my fellow blog commenters ~ a new post on Duchess Kate excites me so much and makes my day. 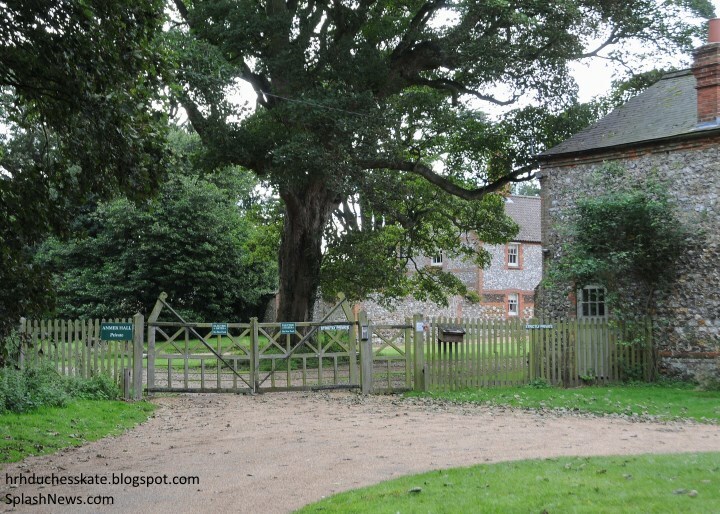 This post about Anmer Hall and the picturesque town in Norfolk was lovely and it made me yearn to live in a similar place and wonder what it would be like to live in such a quaint village. I think it would be fabulous!! Thank you very much Charlotte for this wonderful post and for keeping us engaged as we wait for photos of the family or a Kate sighting. Looking forward to Kate Loves too!! PS- Do you know if Kate ever reads your blog? I can't help but wonder if she does~ just out of curiosity....we are such a great set of fans and support for her and her work. It wouldn't surprise me if their PR staff, or even Rebecca or her PA (Natasha, I think? ), read some blogs/comments occasionally, in order to get an idea of people's thoughts. I imagine Kate has been taught to try and stay away from reading stuff about herself, especially the comments (vs. actual articles or blog posts), since comments on many newspapers and some blogs can get quite harsh (yes, I know many think that about my comments on this blog, lol). Kate was spotted once buying a magazine that had a cover story about her, but I THINK that was pre-marriage, and at that point she didn't have a large staff to do that for her. Also, frankly, I bet she was more worried about her public image then because she hadn't married William yet and was worried about negative publicity derailing their relationship. I get the sense that now that she has William and has fulfilled her heir and spare obligations, she probably feels more secure in her position and cares less about public opinion. And that's the healthier thing to do. While it is very important for royals to have a sense of public opinion about them, it can't be good for them to read every single comment. Thank you for this detailed post. Kate's life at Amner Hall sounds charming and peaceful. I hope she enjoys her time there, getting to know her new daughter. I hope and pray William, Kate, George and Charlotte get the much needed privacy every family should get to nurture and enjoy each other. Thank you Charlotte for all you do! First, thank you so much, Charlotte, for yet another wonderful and informative post that helps us understand Kate's life without being too intrusive. Personally, I can't imagine such a rural life for anything other than a vacation, but I can imagine how a family who is so desperately seeking privacy could love it. I wish Kate and William all the best in raising their two children. Second, I began this discussion on the previous post and wanted to continue it now because yet another person above has said that people who live in the US and don't pay taxes in Britain shouldn't get to criticize the royal family. Here's a few reasons I respectfully think that argument is not a valid one. 1. Why should people from the US get to praise Kate, but not criticize her? If people who don't pay taxes to subsidize her living can't criticize, then it makes sense that they shouldn't get an opinion at all. Yet no one ever tells Americans who praise Kate that they can't have an opinion. That's hypocritical - judgment is judgment, regardless of if it is positive or negative. 2. Yes, people should not solely focus on the problems of another nation, since all nations have their own problems. That being said, no American on this blog has acted like they only care about problems in the Britain, while ignoring problems in the US. Borders are just borders - they are arbitrarily drawn and don't necessarily mean anything. I DO think it is valid to say that perhaps an American cannot entirely understand WHY the British royal family is so important to England, but to say they cannot have an opinion at all is silly. After all, should no one should ever care if there is a dictator killing millions in another country? That seems like a bad policy, since sometimes, outsiders need to intervene and stop the problem. I AM hesitant when it comes to western nations criticizing nations from other areas of the world, since those criticisms are usually steeped in racism. But I don't really think that problem holds for Americans criticizing someone in Britain. Obviously the cultures are not the same, but there are enough similarities. I think it is much more problematic for William to get involved in conservation efforts in Africa, because they have seriously hurt subsistence farmers in many nations who depend on hunting for their livelihoods, something that United for Wildlife has ignored because of cultural differences. But as long as the royal family sees fit for themselves to get involved in efforts in non-British nations, I see no reason why then, non-British people cannot have opinions on this same family that obviously thinks borders are not important for having opinions. 3. One of the biggest arguments for why the British family is worth the taxpayer money spent on them is that they bring in billions in tourism. Tourism...i.e. money spent by people from OTHER COUNTRIES. If people really followed this idea that people from other nations cannot have opinions on the royal family, then the Windsors would lose their best financial argument for their existence. 4. All nations are interconnected in some way (the US was once a British colony, Kate and William have made two visits to the US), and so to say that we shouldn't get an opinion just because we are technically not taxpayers in a nation is a very over-simplified way of looking at the world. In fact, many would say that closing yourself off from the rest of the world is actually a very un-intelligent thing to do, because we should be aware of what is going on around the world, because it all can affect us. Closing yourself off from international affairs only promotes ignorance and close-mindedness. Point #3 was excellent! Royals are international ambassadors. Can't have it both ways! Good for you! The repeated comments about non-English posters is mean. Funnily enough one of the posters I have seen saying it is now popping up on an American blog. I don't think it's right to say someone cannot express an opinion because of nationality- that's discriminatory. Thank you Maggie for speaking up and Charlotte for publishing the comment. I agree with you and hope that all opinions can be expressed in a constructive and respectful way! I enjoy reading other points of view so long as they are done in a way that makes me think. Rebuttal? thought this was a casual blog not a platform for ego aggrandizement. With William's trust monies he could afford to live in Amner Hall. Like the other commenter said, if a cabinet maker can afford to live there should be easy for William with his pilot's salary and trust monies. He doesn't just have his pilots salary. so thoughtfully blessed by his family. Oddly enough, some people think this is a place to exchange ideas and have a discussion. The definition of comment: a written remark expressing an opinion. The word rebuttal means: a reply to find fault in an argument. 1. Someone with an RAF and pilot's salary wouldn't be able to afford to live there. 2. Someone with an RAF and pilot's salary with family trust funds WOULD be able to afford to live there. 3. Someone with an RAF and pilot's salary with family trust funds whose Grandmother is the Queen and owns the property WOULD definitely be able to afford to live there and without paying rent/mortgage and tax free too. Number 3 is the lifestyle of William and Kate. Ergo, why the topic is being discussed. And Anon at 16:56 - I think it is far more ego-aggrandizing to not challenge people when you disagree with them. Disagreement and discussion are important imo. Lovely post! Sounds like an idyllic place to raise their children. Thank you, Charlotte for always being spot on, and never posting those terrible rumors, which always turn out to be false. And, you do it in such a charming way. It's the story of women in rural England at the onset of WWII and the local branch of the WI is their hub for social and political activities. Beautiful british period drama! I saw the first three episodes and enjoyed it tremendously. How to they do it so well over and over again?! Honestly, I am hooked already. Again. You may stumble across the occasional Downton Abbey actresses. It saddens me when anyone thinks anyone else has to "justify their existence". Everyone has to justify their existence at all times as far as employment goes and the royals are employed. But there are numerous bureaucrats all over the world who applaud you. Wills pilot income minus taxes and whatever else is deducted, is being donated to charity. This has been stated publicly by the press office. So they live off the interest from diana inheritance, money he inherited from the queen mum, the $300 ,000 the queen set aside for each of her grandchildren (when they were born) to be invested and used when they come of age, and the money allotted by the duchy (POW). The duchy income number has varied when reported. It should also be noted Harry has the same plus a "substantial" amount received from Dianas father when Harry was born. Diana used the term "substantial" because her father knew that William would be the wealthier of the brothers when he becomes king. The family obviously takes care of those who are not going to work for a salary. This has occurred as far back as the queens generation. The Duke of Gloucester worked as an architect until his older brother William (wills namesake) died in an air accident i believe in 1972. He resigned from the architectural firm and increased his royal duties. The royals are criticized either way not working for a salary and living off an inheritance or taking a job with a salary away from someone who needs it. William and presumably Harry, will take jobs with salaries (outside of the traditional army jobs). This has never been done before, so we will see if this social experiment succeeds. Only "secondary" royals (Timothy Lawrence, peter/zara Phillips, princess Alexandra husband, etc, have had jobs in the past. Would post with my name, but can't get that part to work if someone cares to explain it lol. Sorry to hijack the post, but this money bit needed some clarity. First line royals working outside of the army is definitely uncharted territory. How very interesting, unintentional Anonymous. That makes a lot of sense. For me, this highlights the point that William and Kate are probably able to cover their expenses like any other wealthy family who lives of the proceeds of their inherited fortune. But I think it's hard for most of us bystanders to understand what belongs to their private assets and what has to do with their role as royals and might be publicly funded. It can look quite muddled up and I can imagine it cause some frustration among the british population. Maybe only real insiders know where the line is drawn. So, what are we exactly talking about? The accumulation of private property and if that's ethically less questionable for a non royal then it is for a royal? The idea of "private" property for the royal family is questionable, IMO. I don't understand how the concept of 'private' applies to them independent of their status. For example, the royals are given large amounts of jewelry and other very valuable items when they are on tour. Is this 'private' ? Would they be given these gifts if they were NOT representing the British people? The fact that Camilla was given a giant parure of rubies and diamonds, probably worth millions of pounds by the royal family of Brunei or Dubai or some such Middle Eastern oil-rich state - is this to be considered private ? Now, I know that there are some gifts that are considered to belong to the Crown - but there are some that have been clearly stated to be private. Where do they draw this line? When I am invited to speaking engagements I am given "gift" - but they are usually things like a pen or a plaque or something token, worth less than $100 typically. I am not allowed to accept anything worth more than that. When gifts worth millions are given to people on account of their professions, they are usually forbidden to accept such gifts on account of conflict of interest. The royal family is exempt from such a requirement. Is this ethical ? Secondly, when it comes to land... how was land procured by the royal family ? How was cash procured by the family to buy Balmoral and Sandringham ? How did they tax the British people and the colonies to procure this cash that they subsequently used to buy these properties ? How did they use the feudal system to their advantage to enrich themselves? After all, they did not enrich themselves through skills, through brawn or brains... they enriched themselves by virtue of their birth. So, is their wealth the same as the wealth I inherited from my grandfather who built a business ground up? I am not proposing that these properties be seized and history rewritten, but one really has to educate oneself about the wrongs perpetrated through history and then try to understand the concept of 'private property' in that context. It is all fine and good to love the royal family. But we must also be cognizant of the history behind them. less worthy-or whatever it is you are saying about the royal family- because of what that long ago ancestor did? IMO, there is no great difference between your inherited wealth from your grandfather's business and a inherited wealth from a grand-grand-grand father who was able and clever enough to become the king of Britain, and from all the kings and queens that were able enough to maintain their crown avoiding to be thrown away – as for instance it happened in Italy to the Savoia family, or in France or in other countries to other royal families. I think that all those royal people of England made a remarkable work. Love this post, it was so interesting! Completely unrealated to the post but do you think Kate and William will be seen at Wimbledon this year? It's kinda early but I'm curious! I'm not Charlotte and obviously not nearly as knowledgable, I bet they won't be there much, if at all. They know that if they show up to Wimbledon a bunch, people will be wanting to know why Kate can't start doing appearances again. And, I get the feeling they want to be in London as little as possible anyways. Kate is expecting to attend Trooping, I'm wondering if she might pop up at Order of the Garter and HM's Garden Party? What do you all think? I've got my fingers crossed she does!! I agree with Maggie, if they do attend any matches it will be very few. I hope that their PR team would be able to spot the hypocracy of Kate attending lots of matches while remaining on materity leave. Yet, I wonder when do we expect Kate's maternity leave to end. I know that she it taking a longer one than with George so does that mean she'll return to duties in September/October or even later? November is such an important month with Rememberance Day and such so I hope that she'll return to royal duties before then. Or maybe she'll do visits sporadically until then and then return to her previous frequency in November. But December and January are often slow for royal duties so will it be actually February until Kate fully returns from maternity leave? As for the events in June, I doubt we'll see Kate at HM garden Party but maybe Order of the Garder. I read the post that was removed (in my inbox). All I can say is that being on maternity leave doesn't mean a woman is bedridden or housebound. A colleague of mine will be on maternity leave from mid June to mid September. Would anyone begrudge her a trip to the beach or (gasp) a vacation during this time? :) It's leave from work: it does not dictate what you can and cannot do. list of activities allowed and not allowed? Sorry, I must have missed the memo. Not allowed a tennis match while on maternity leave? really???? Have you guys seen the " why kate is the prickly princess" articles? I have thought all along kate and will must have an understanding (or actual written agreement) on what Kate will or won't do. What do all think ? Is an heir and a spare plus a few engagements it? Ha! royalfan. The Atlantic Ocean is now a dry bed. We can walk across the pond. Charlotte thanks for this interesting post. It was very welcome after a long day at work and all the chaos of a busy family to be able to just sit and read about Anmer Hall & its history. I hope that the Cambridges can take as long as they need to get their family settled. I'm hoping you're right Charlotte & Kate does pop up at these activities as it's likely to mean that things are going well. I agree with anon at 21:10 that William is breaking new ground in his work with the air ambulance. When Prince Edward & Sophie worked the tabloid press were relentless in their criticism. Sophie wore the brunt of it and it ended badly with the 'sheik' affair. While the same conflict of interest claims can't be levelled at William the DM et al will no doubt have their chequebooks out for any co-worker or patient who wants to talk. So kudos to William for persisting & balancing it with his royal duties - he's done a few in the last day or so. Loved the photo with the tiny t-shirt for Charlotte. Do you know "Nessun dorma" (Turandot by Puccini)? It means "Let nobody sleep". We could sing it for the Cambridges! I think these brief, unsourced opinion pieces are extremely silly. And they are both unkind and disrespectful of a new mother who is taking care of the young family necessary to the monarchy, and warmly welcomed by her and her husband. She gets no credit for all the work she did before Charlotte was born, for her involvement with her charities, for the long tours she has made, for her consistent appearances at events attended by the royal family, or even for renovating royal properties that needed it! The guesses about William's income are just that. None of this has any factual foundation. One wonders what pleasure anyone derives from mocking Catherine, who cannot reply. I agree. Yes, it is a blog about her lifestyle, but being so consistently critical as many are on this blog seems mean spirited and non-consequential. I think she has adjusted nicely and is making worthwhile contributions. regardless of her current critics. I think the little Princess is singing that tune, Paola. ha!. Beautiful opera music, by the way. Thank you both! Oh, and I forgot, she grows her own vegetables.